Pantai Dendang Melayu, Batam is one of another option of tourist attractions that you should visit in Batam if you can. Now there are more recommended places to enjoy sun rise and sun set view. 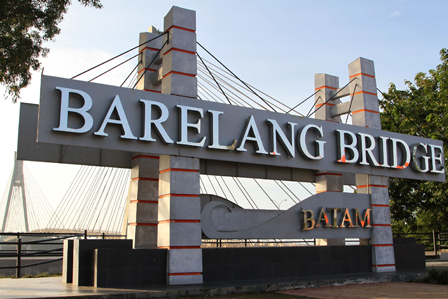 Supported with charming scenery of bridge Barelang, you can spend your time relaxing while enjoying light snacks such as roasted corn, meatballs, satay, dumplings, etc..
Ready your camera to capture this precious moment of Batam with beloved friends, colleagues, or family. Decide the right day and time to visit this place, as most of the time it is crowded with locals and tourists. Pantai Dendang Melayu, Barelang - Batam.